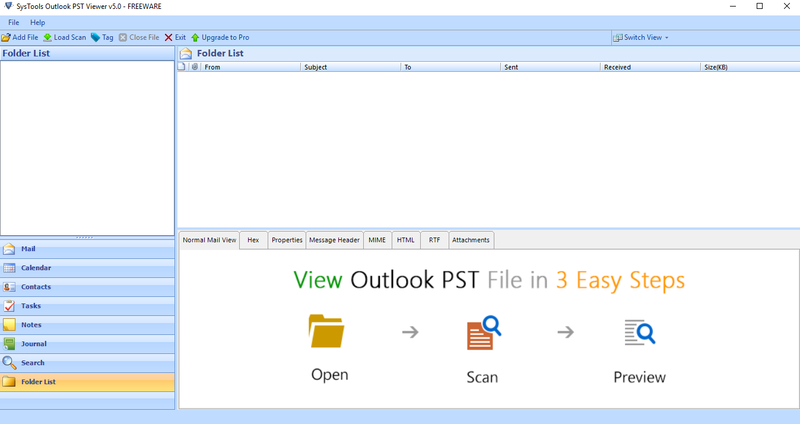 Simple steps to know how to view PST files with Attachments along with the Horizontal and vertical view. 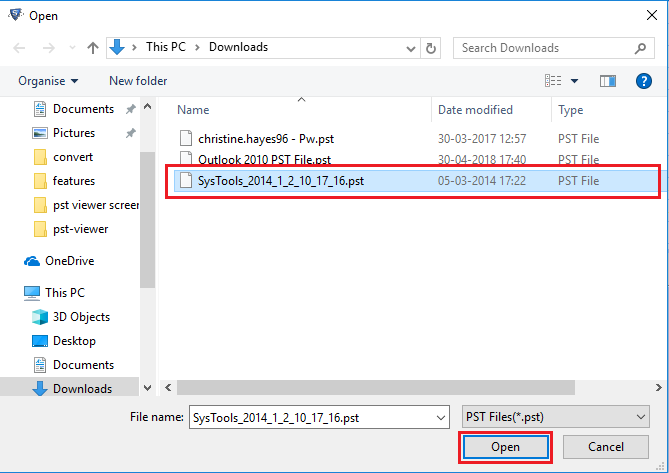 Go to Start » All Programs » SysTools PST Viewer . 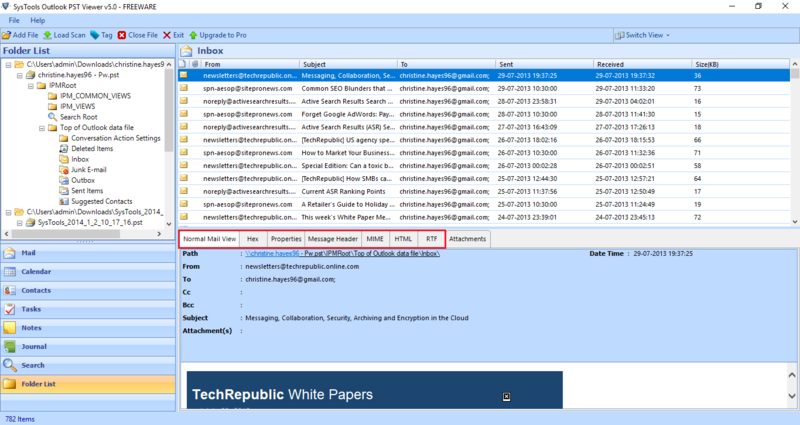 Select File & Click on Open. 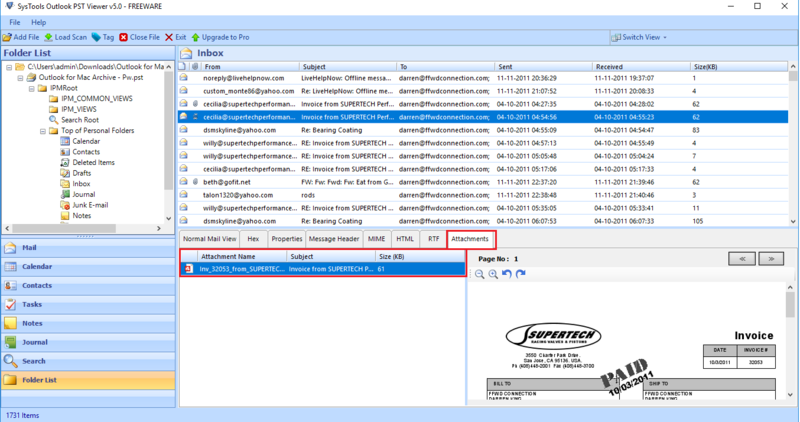 Select Advance Scan Option If you have Highly Corrupted File & Click On Add File. 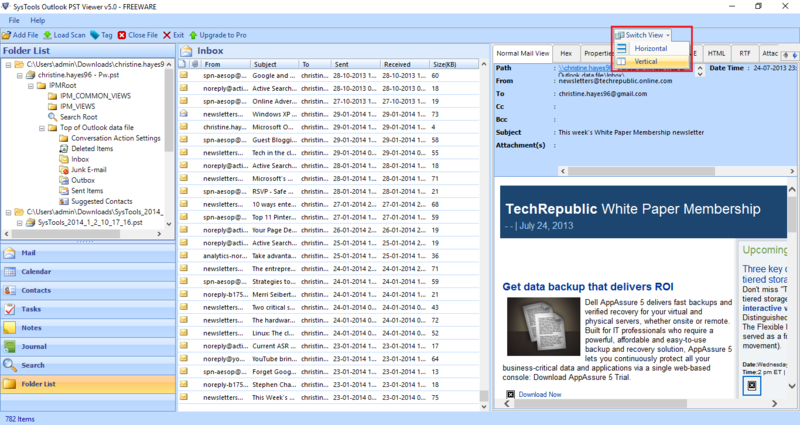 Select a Folder to view their E-Mails. 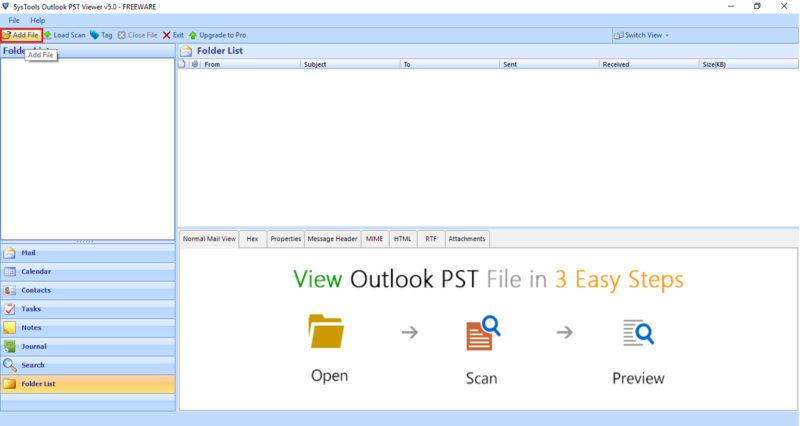 PST Mail View of email is shown below in which user can view the email in usual way: Normal Mail View,Hex View, Properties View, Message Header View, MIME View, HTML View, RTF View. If you want to view Attachments, then click on Attachments tab. 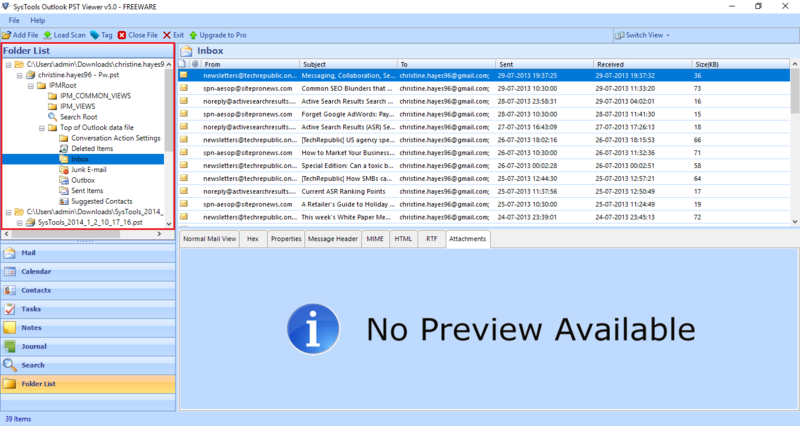 The user can switch views from Horizontal to vertical in order to view the mails as per preference.